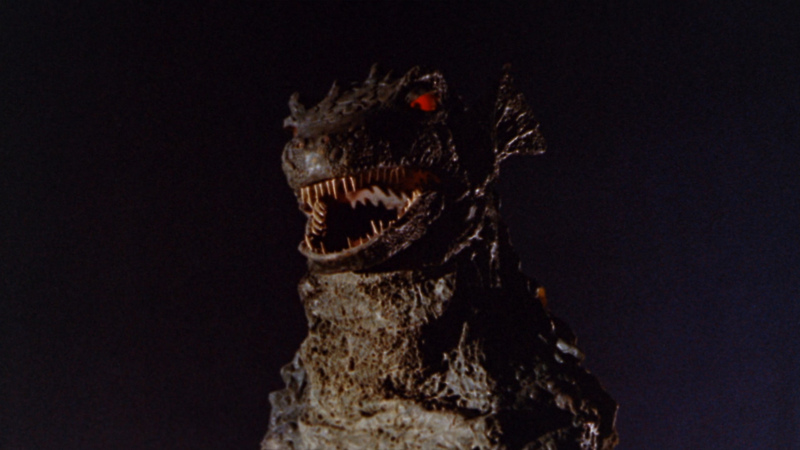 Description: A volcanic eruption in the North Atlantic brings to the surface a 65-foot prehistoric monster. 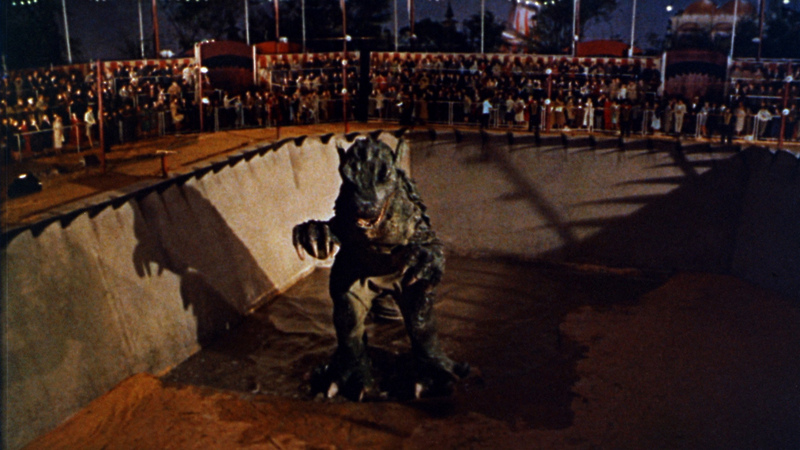 Two treasure divers capture the creature and take him to London where he made the star attraction at a circus. A scientist is thoughtful enough to point out that the sailors’ bonanza is only an infant, and that a full-grown specimen would be over 200 feet in height. 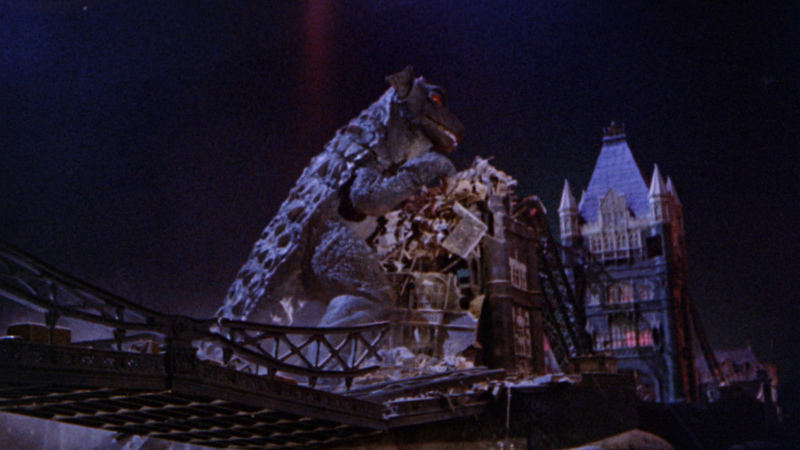 Sure enough, Gorgo’s mama comes thundering ashore, reclaims her offspring and heads back to sea — but not before, she trashes a generous portion of London. 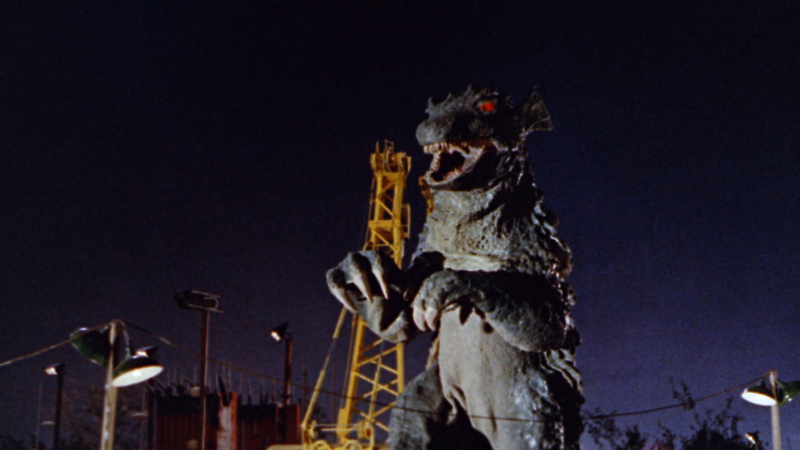 Gorgo is an attempt to make a Japanese-style "giant reptile" flick in an English setting. 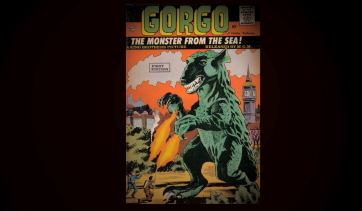 The story begins when underwater volcanic activity in the Irish Sea brings forth a 65-foot monster called Gorgo. 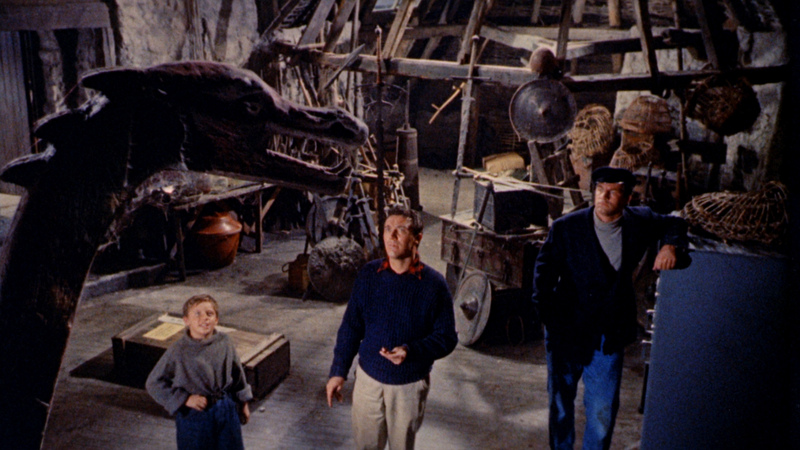 Enterprising Joe (Bill Travers) and Sam (William Sylvester) capture the beast and transport it to London, where Gorgo is put on display as a seaside carnival attraction. 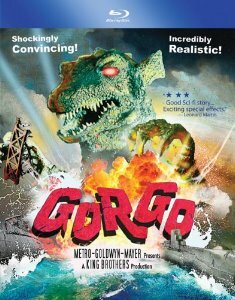 This proves to be a major mistake when Gorgo's even larger mother lumbers to the surface in search of her cute li'l baby. 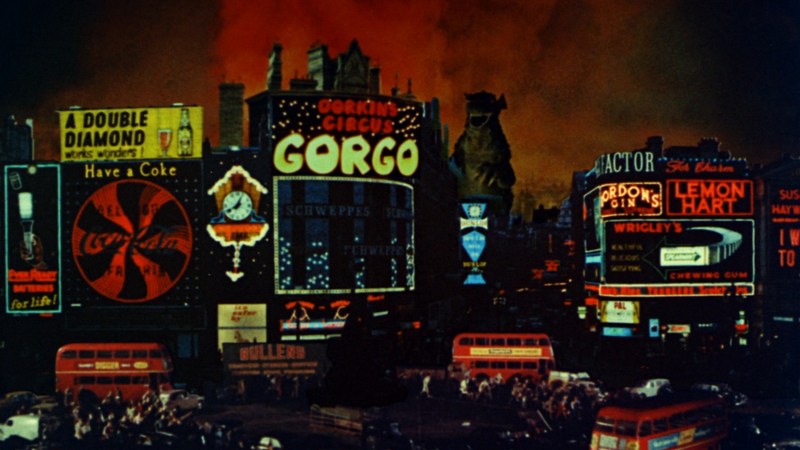 In short order, London is trampled and trashed. 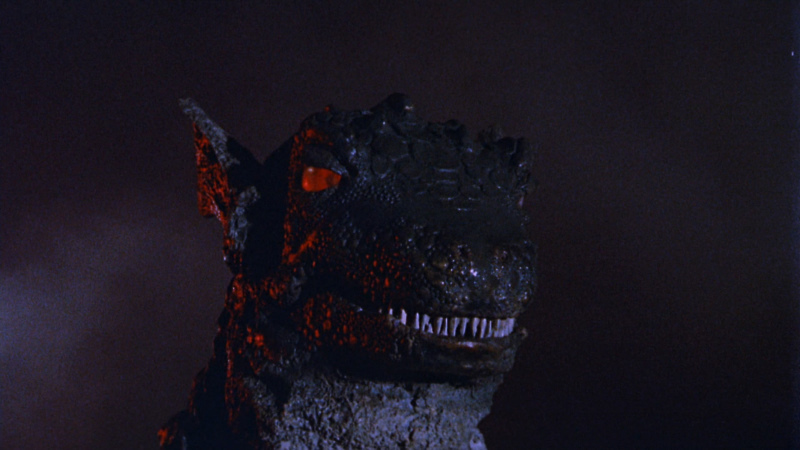 Not many monster movies have as original or inventive a storyline as Gorgo. 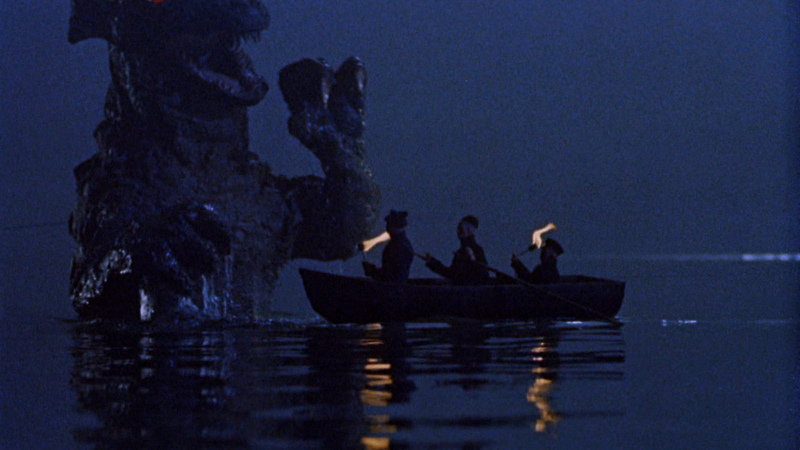 Under Louri�'s direction, the film's credited writers John Loring and Daniel Hyatt (actually the blacklisted Robert L. Richards and Daniel James) concocted a tale in which a defiant Mother Nature triumphs over human greed and folly. 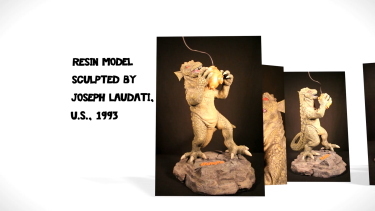 Louri� had noted that his young daughter loved the original Beast, and was unhappy to see it meet the traditional fate indicated for classic movie monsters. 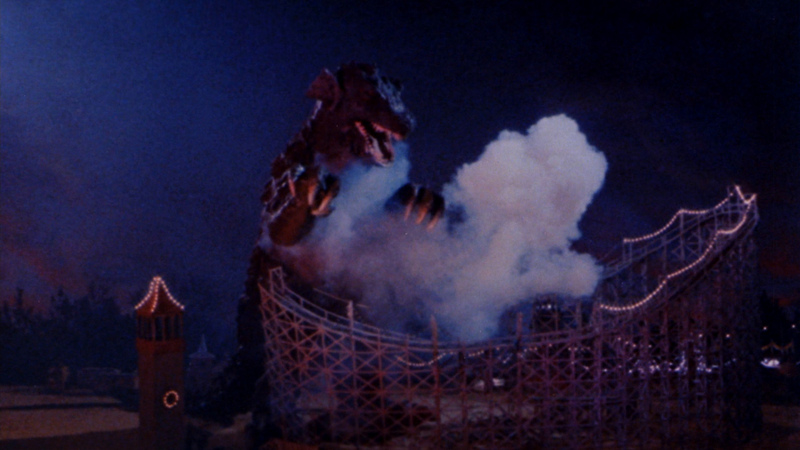 Louri� decided that his new monster would not only live, but also prevail. This idea reportedly met with the King Brothers enthusiastic approval. 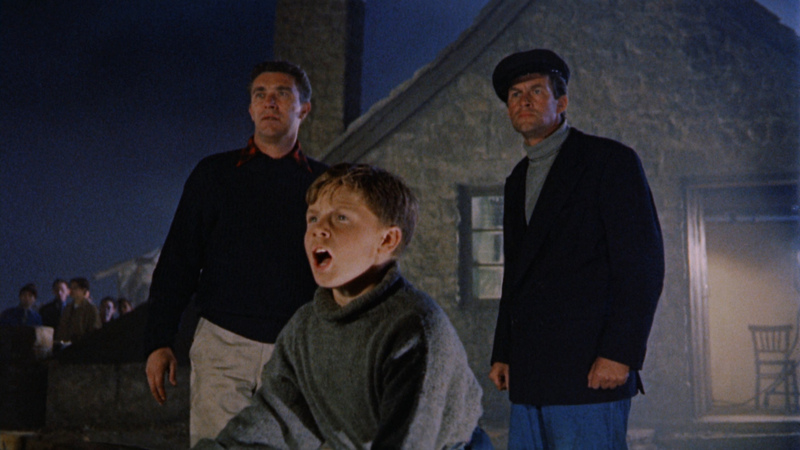 When trying to get the British censor to allow children to see the movie, they claimed it to be a testimony to Mother Love. 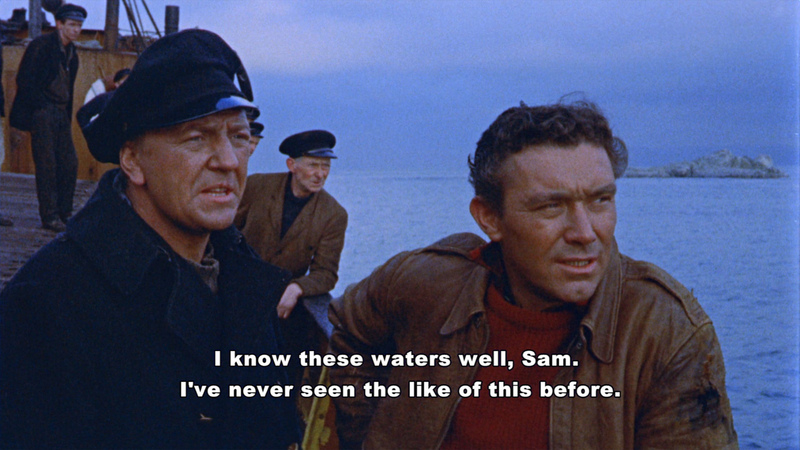 As finished, the show definitely communicates an emotional proto-ecological message. 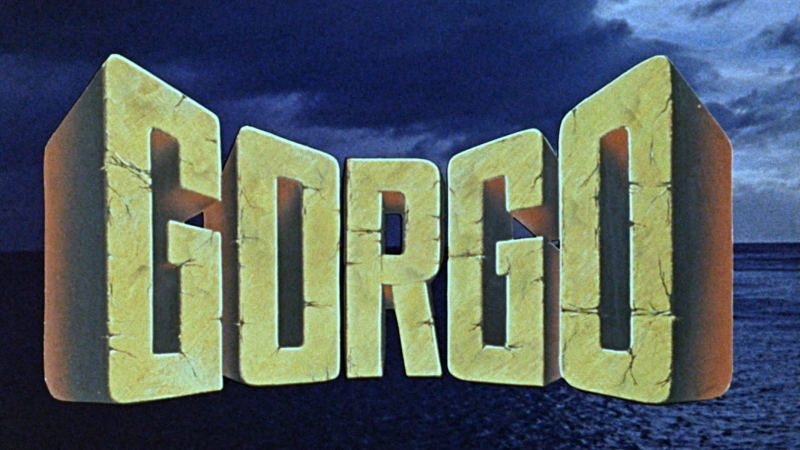 Gorgo arrives on Blu-ray from VCI. 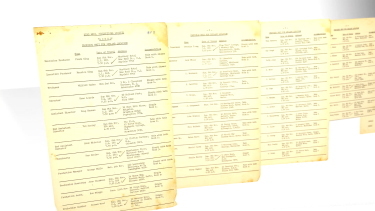 The image quality is fairly unremarkable but does show some grain interspersed with the digital noise. 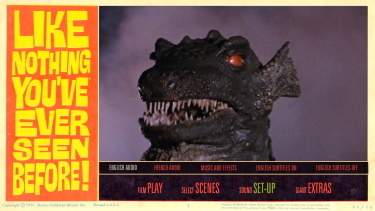 It has a reasonable bitrate but uses the MPEG-2 encode as opposed to the more popular (and superior) AVC. I suspect this might have helped the image in terms of contrast - and hence, detail. The 1080P resolution makes a few of the effects transparent but we should realize this was a modestly budgeted flic. One thing I will say is that it looked significantly better in-motion than the static screen captures are indicating. It is in the bastardized 1.78:1 aspect ratio. 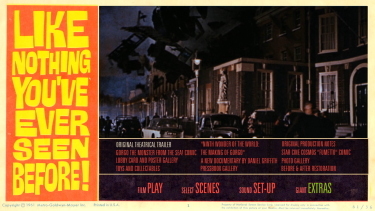 If you go by the split-screen restoration demo in the extras you might tend to be more lenient with the visual quality. It was, at least, consistent, heavy, thick, but soft although colors (explosions) were vibrant. We get a linear PCM stereo at 1536 kbps that isn't without some ups and downs. 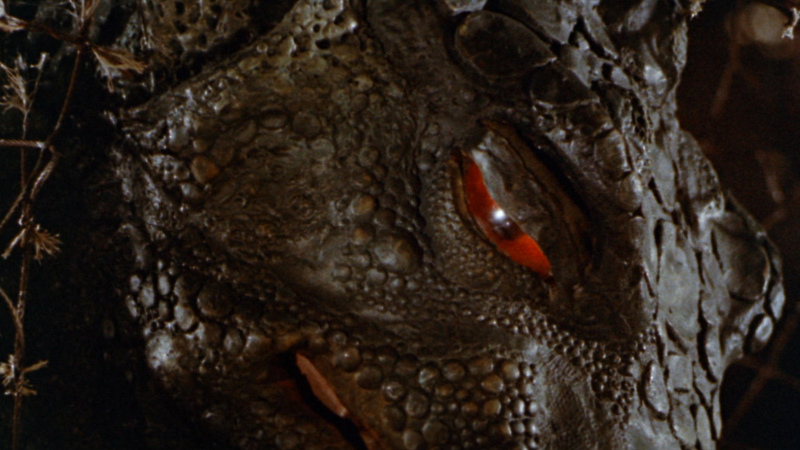 It does exports the effects (Gorgo roars) with some nice depth. 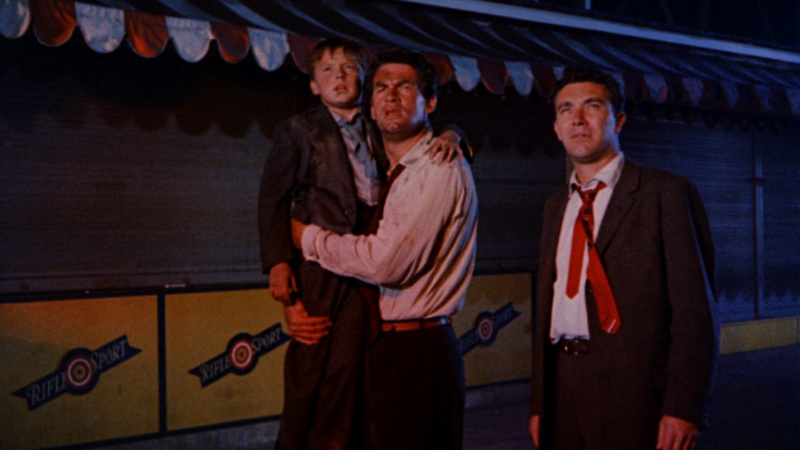 Angelo Lavagnino's typical and totally suitable score benefits from the lossless rendering. 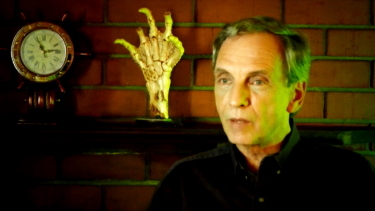 There are options for a French DUB or an isolated music and effects track. There are optional English subtitles and my Momitsu has identified it as being a region 'A'-locked. There are plenty of supplements. 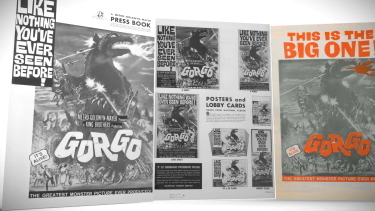 Beyond the Galleries (Lobby Card & Poster, Photo, Toys & Collectibles, Comic Book Cover and Pressbook) there is a new (2013) 1/2 hour documentary by Daniel Griffith entitled "Ninth Wonder Of The World: The Making Of Gorgo". It has Bob Burns, C. Courtney Joyner and Ted Newsom discussing the film's production and effects. 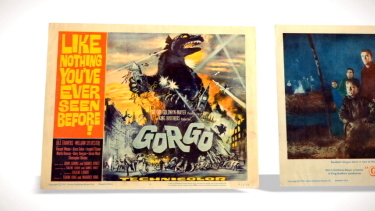 What I thought was cool were two 'Video Comic Books' - a 1/2 hour one of a well-drawn Gorgo comic (page by page viewing) and another, 40-minutes of a Star Cin� Cosmos - French-language "fumetto" (comic book). 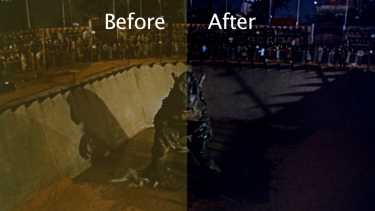 There is a 2-minute restoration demonstration, theatrical trailer and scanned production notes. 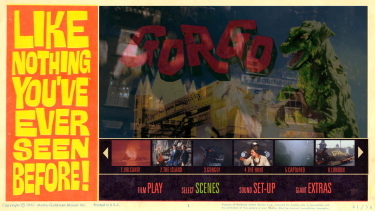 Gorgo was fun - and kind of unique. 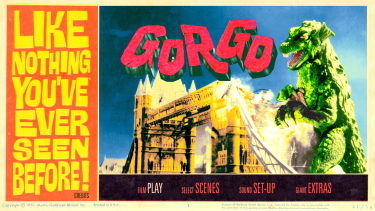 There was a lot put into this story from the creature-feature aspect to the exploitation-of-the-monster moral angle - and lastly the triumphant rescue of the baby Gorgo. 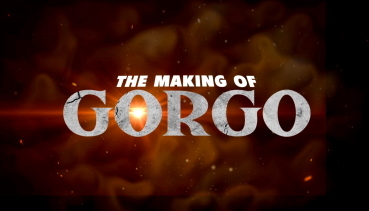 It's no masterpiece but fans of the sci-fi genre should find enough to make it one part of a Home Theatre Double Feature night (I might choose THEM! as the 'A' picture). The Blu-ray isn't stellar but so much effort was put into the package with the cool menu animations, entire digital comic book, and documentary to give it a lot of value. If you are even remotely into this genre - you probably won't regret a purchase.